By now all Cornerstone members should have received your ballot papers in relation to Cornerstone’s pay offer for 2018/19. UNISON is recommending rejection of the offer. Only UNISON members have the opportunity to have their say on important issues like pay, so take part in your union, and make your voice heard. You will see that we include a comments box on the ballot paper which you can use if you wish. I can assure you that we read every comment and use them to influence our approach. 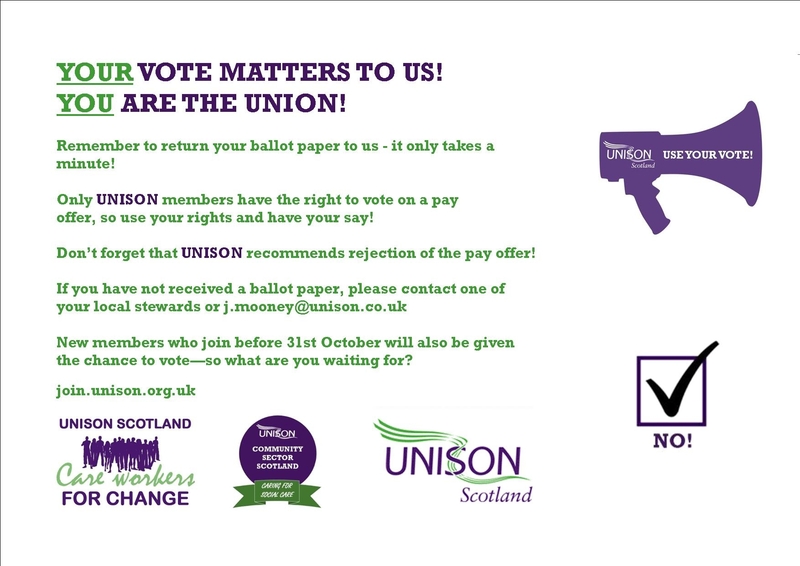 If you haven’t received a ballot paper, please contact one of your local stewards, or John Mooney at j.mooney@unison.co.uk It may be that your address needs to be updated on our membership system. And remember that if you are not already a member, if you join now we will issue you with a ballot paper. You can join online at join.unison.org.uk or please contact one of your local stewards (or John at the above email address). Next Post:Just what is going on at Cornerstone?